2014 CNY is a special one. 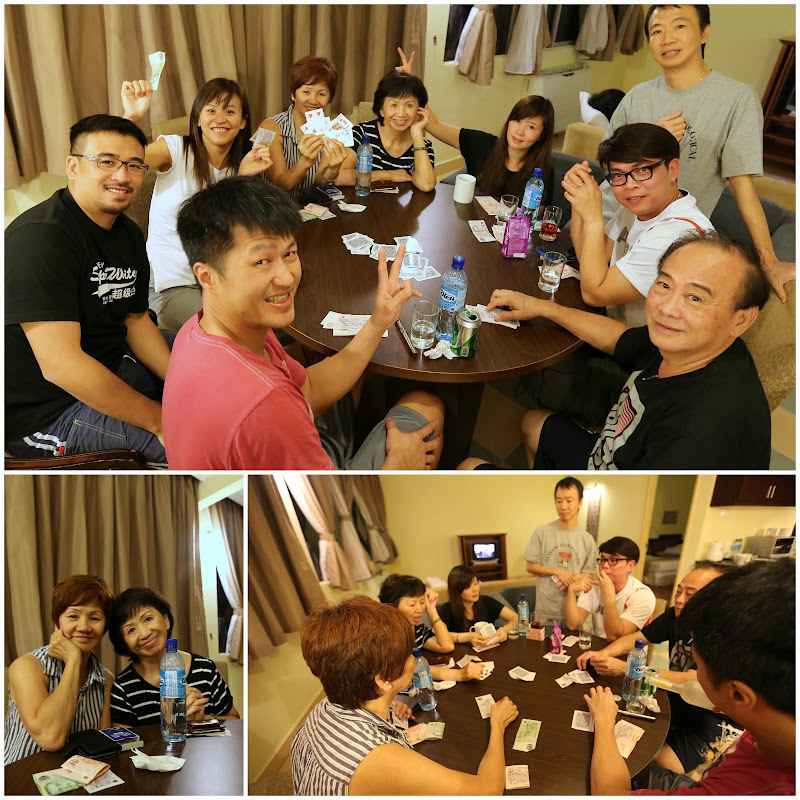 It has been half a decade since the 2 families got together in full during CNY. For one rare occasion, we had the presence of Uncle Asty and Cousin Chester this year. In total, there were 16 of us this year! The last time when we had a full assembly was in 2009. 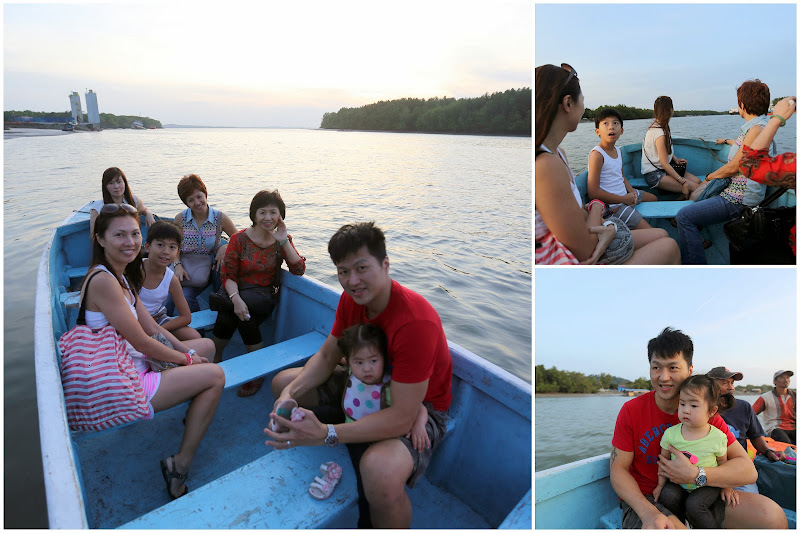 That year, Leon and I flew back from abroad to join our families in Muar, Malaysia. Since the passing of our late grandmother in 2012, CNY has been a lot quieter. 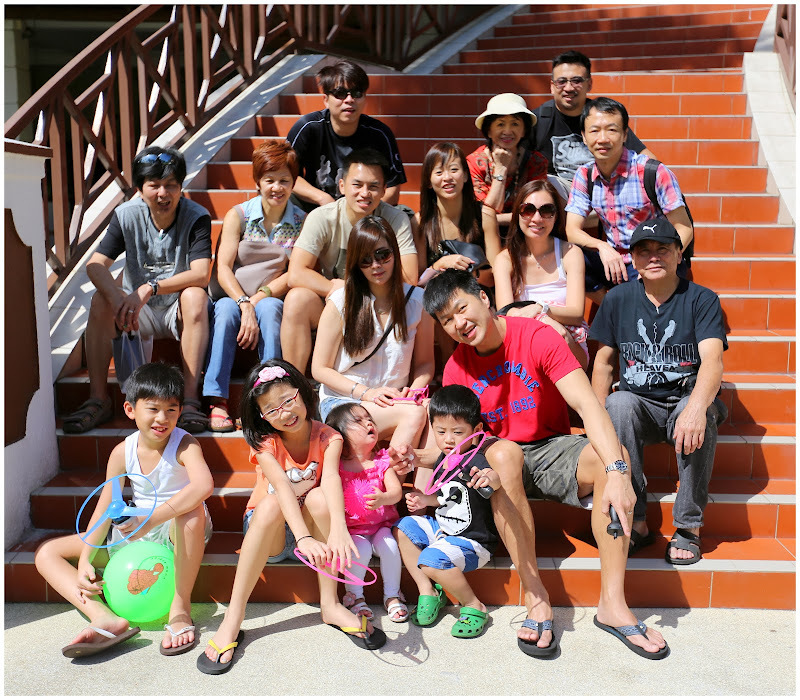 Last CNY, we stayed at Resort World Sentosa. It was chaotic and very crowded. 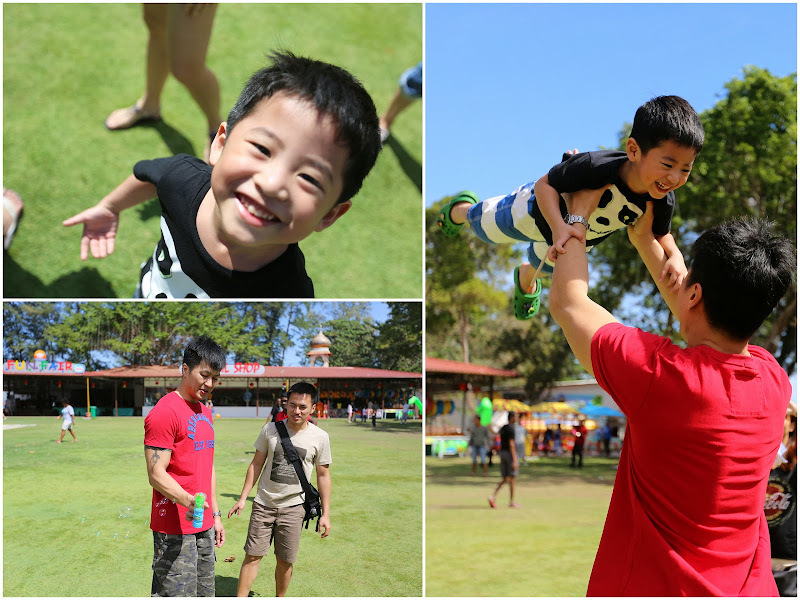 This year, we thought of traveling outside Singapore, to a quieter destination where the 2 families can relax and spend more quality time together. The planning started 4 months ago over WeChat and the group picked Desaru as this year’s CNY celebration venue. 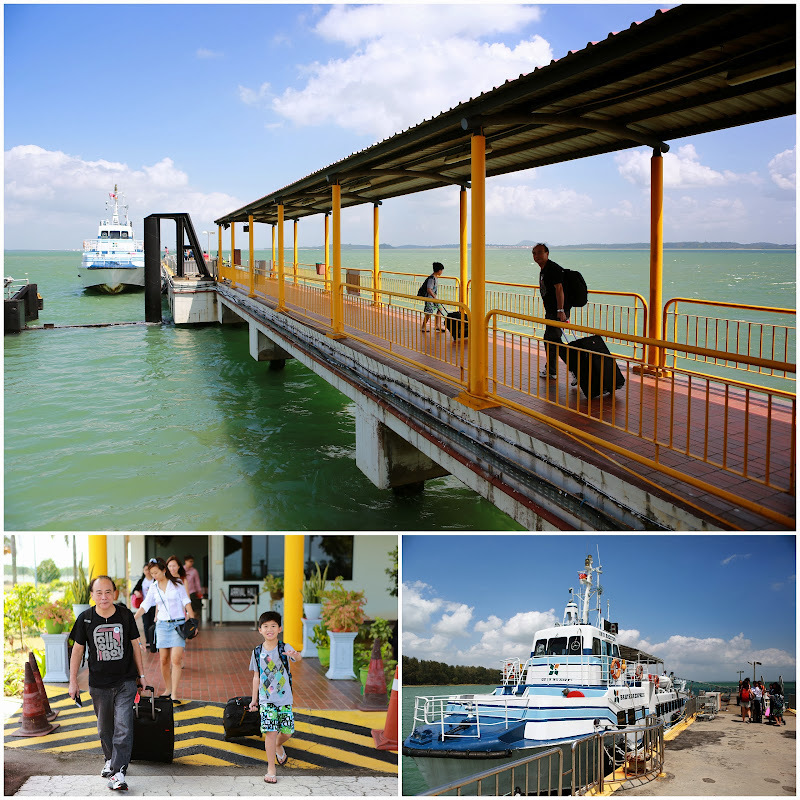 On the first day of CNY, we set off to Changi Ferry Terminal where we took a 45-minute ferry to Tanjung Belungkor Ferry Terminal in Malaysia. Entering Malaysia via the causeways during CNY can be quite an awful traveling experience. Thankfully, there wasn’t any long queue at the ferry terminal. It took us less than 20 minutes to clear the custom. 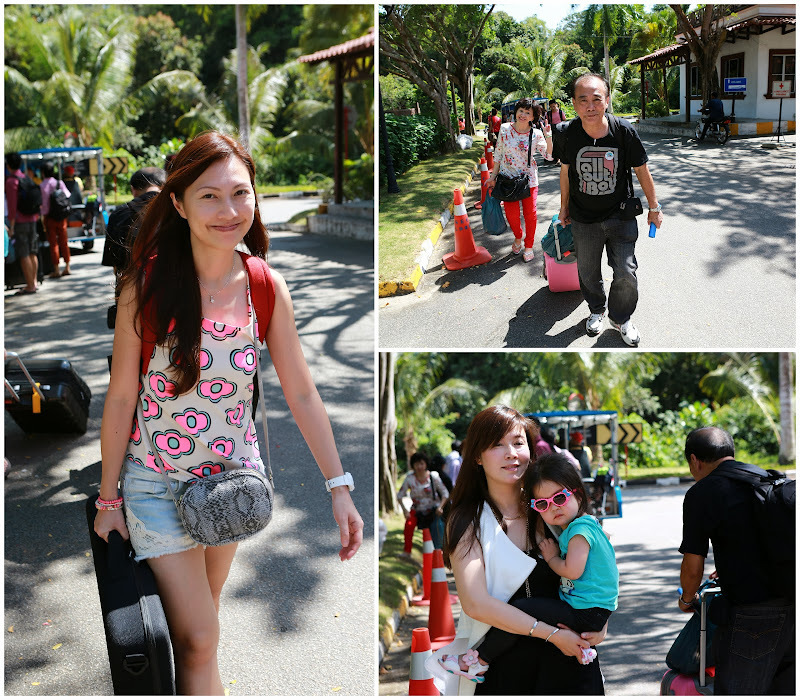 From there, we took a 45-minute bus to the Desaru Lotus Beach Resort. 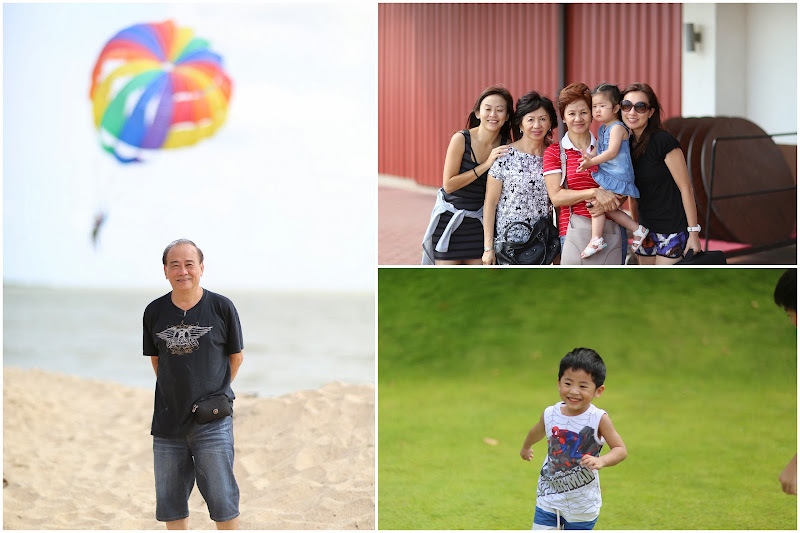 Desaru Lotus Beach Resort was fully packed with holidaymakers! Its car-parks were filled with Singapore-registered vehicles. Despite the overwhelming crowd, the hotel staffs were efficient to clear the queues. We didn’t need to wait very long before we got the keys to the apartment rooms. 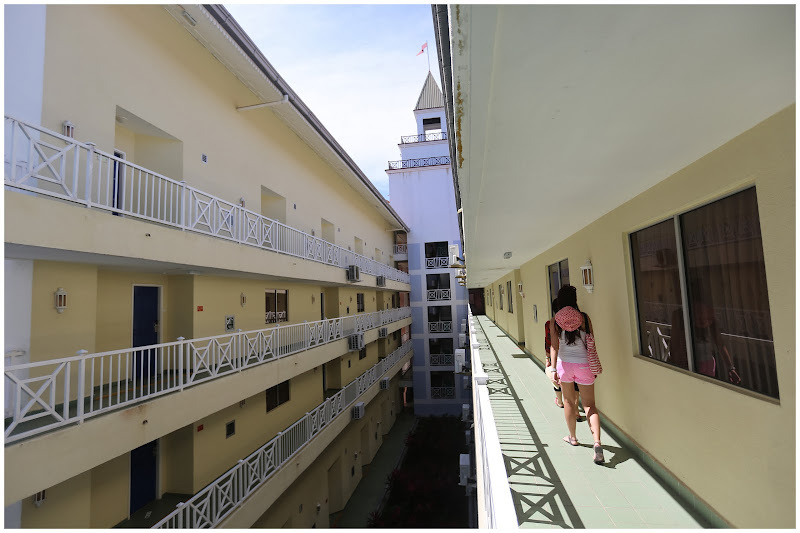 The resort was big, housing over 700 apartments but most of its facilities were very old and poorly maintained. The water at the small water theme park was greenish brown. 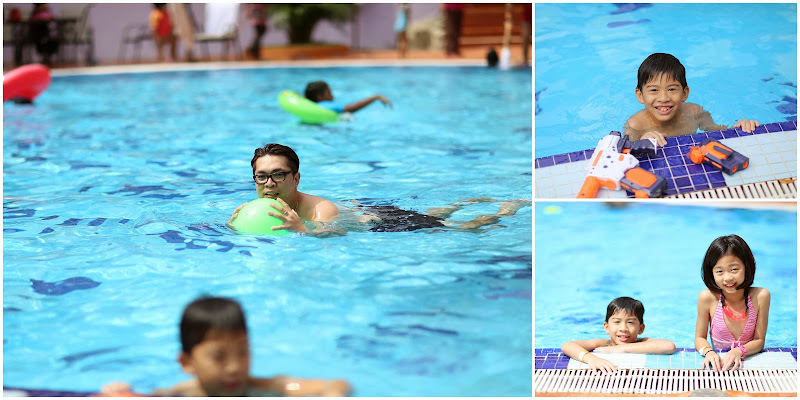 The swimming pool was small. Overall, this place felt more like a big condominium than a private beach resort. Buffet breakfast and dinner were appalling and pathetic! 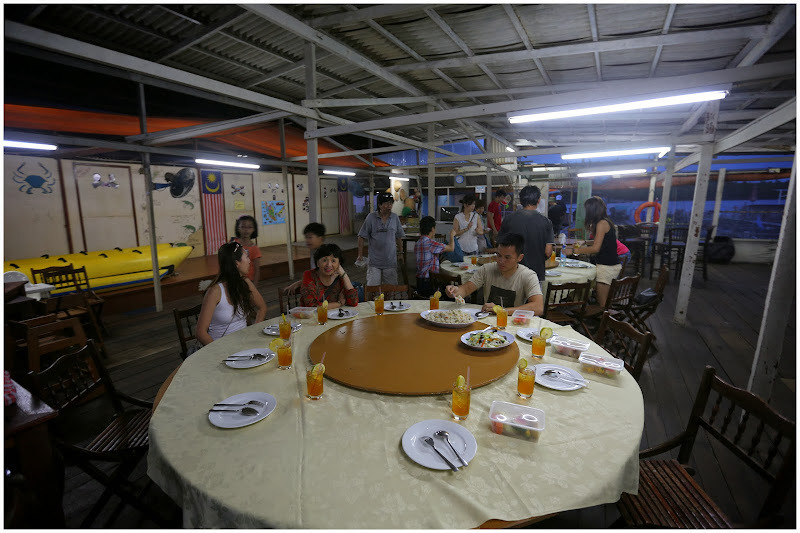 For RM$60/pax, the food actually tasted horrible. The only food that was acceptable was the roti prata. The dining hall and the food reminded me of the awful canteen food I had during my army days. I will not recommend this resort to anyone. 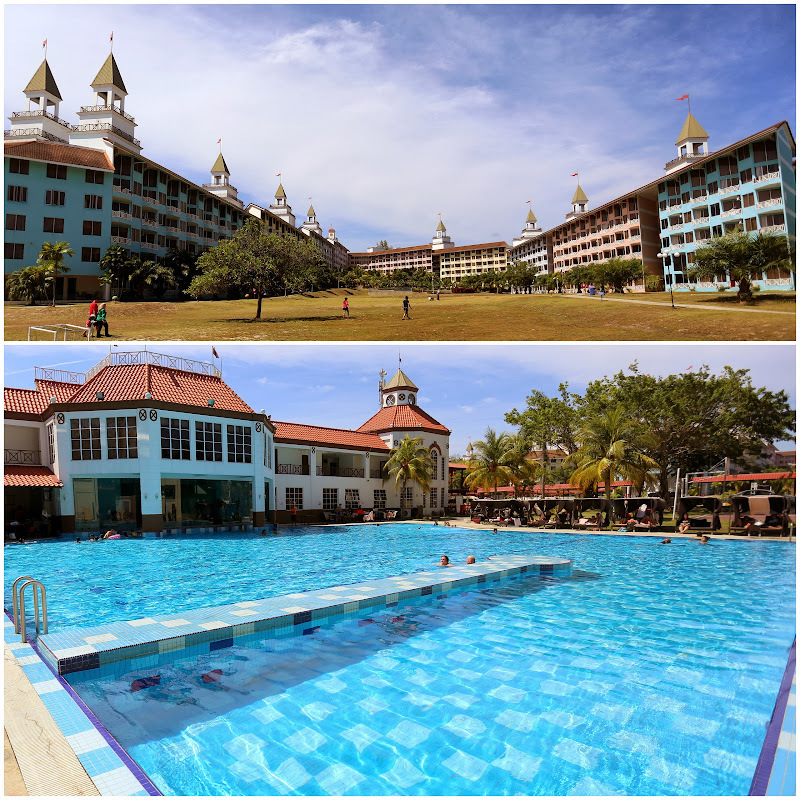 For almost the same amount of money, I rather spend my holiday at Bintan Lagoon Resort. Despite the poor review of the resort’s facilities and food quality, we had a great reunion at Desaru. Afterall, it is the company that matters. 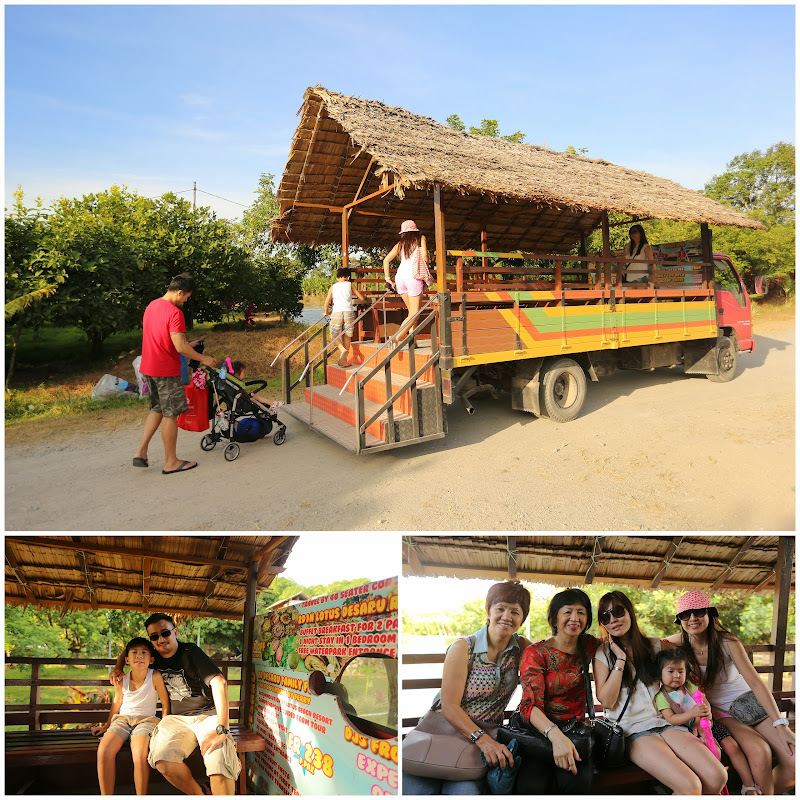 For one rare moment, I can fully enjoy the slow siestas and not worried about the itinerary or travel logistics. 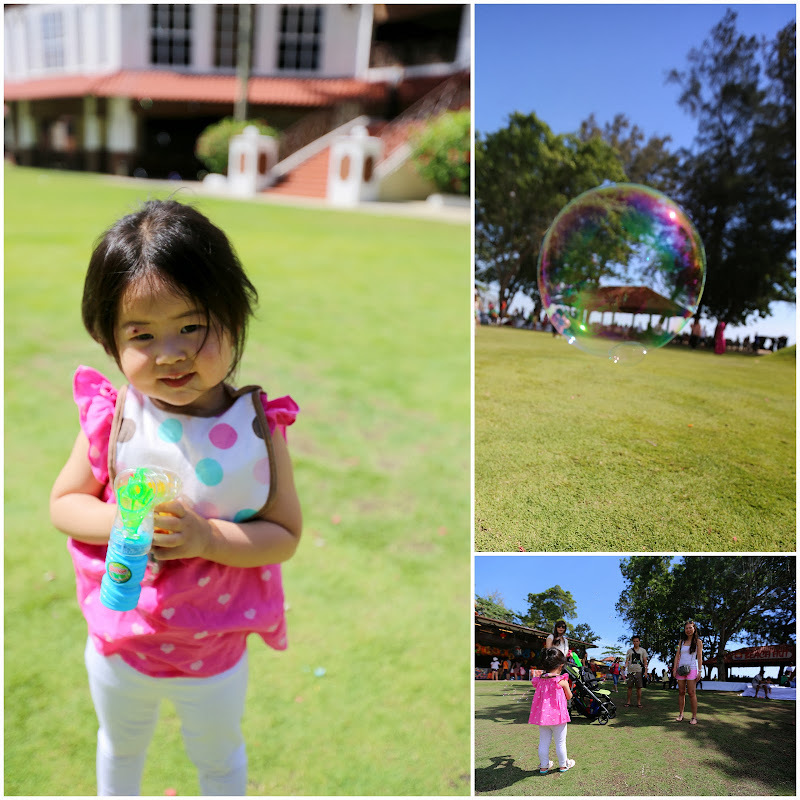 The kids ran freely on the field, blowing bubbles, kicking ball and chasing one another. Thanks to my wife, sister and cousin Chester, they got every thing well arranged and covered perfectly for the families. 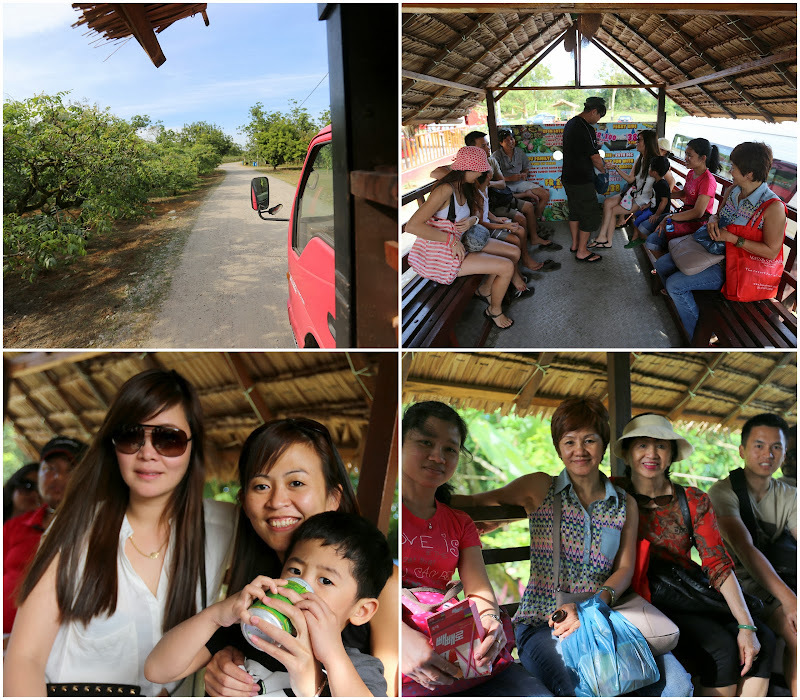 The next day, we went to visit the Desaru Tropical Fruit Farm. The kids didn’t find it very interesting. It was more for the old folks like my parents and myself. 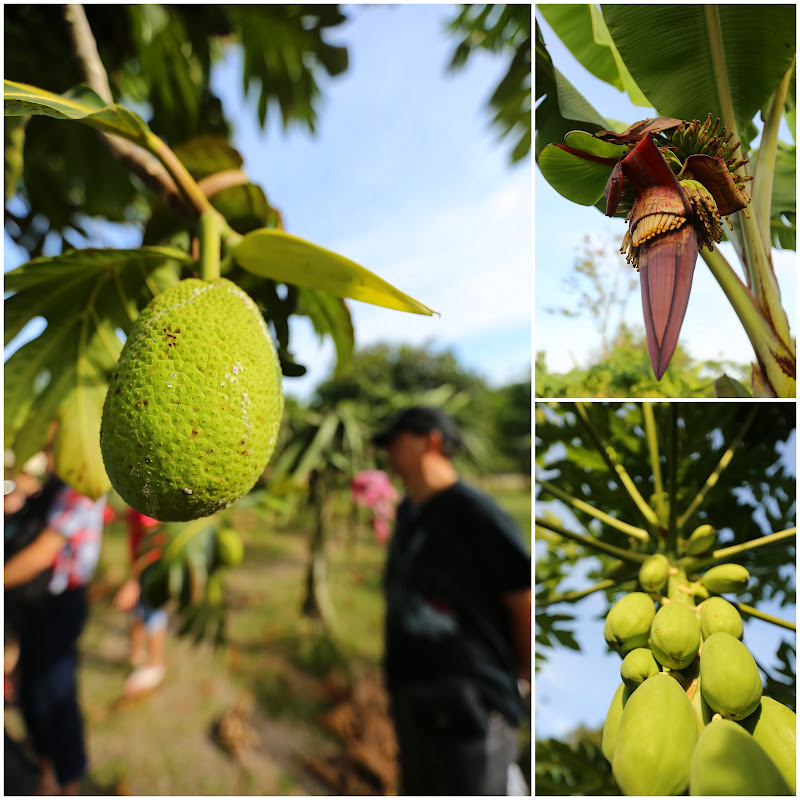 It was quite a good educational tour and we got to see many fruit-bearing trees and plants. 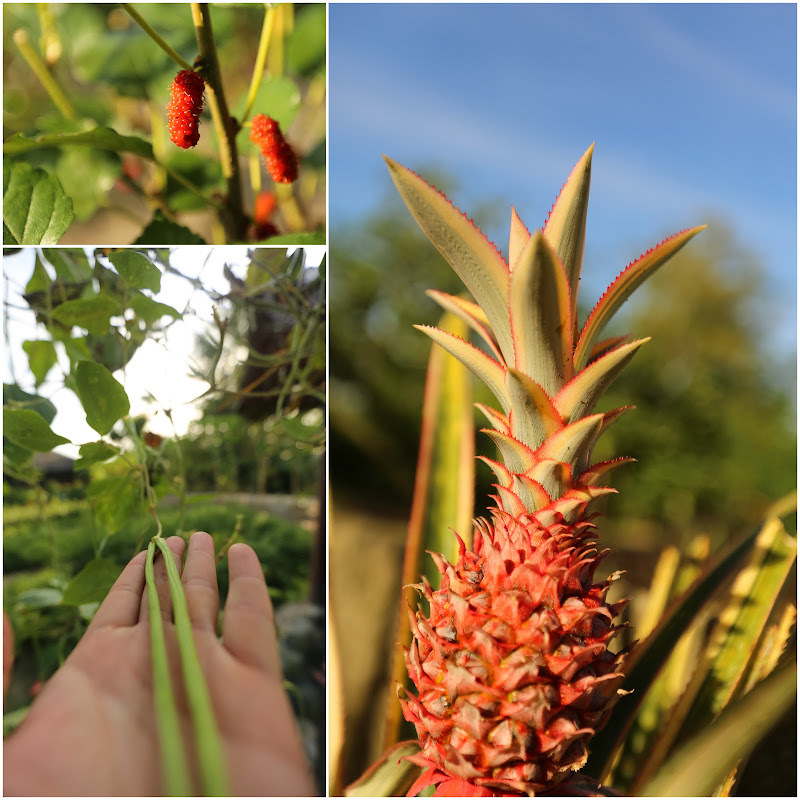 A couple of new facts I learnt there: Coffee beans and longans grow on trees, bananas grow between the petals of its flower and plants are classified as unisexual and bisexual. 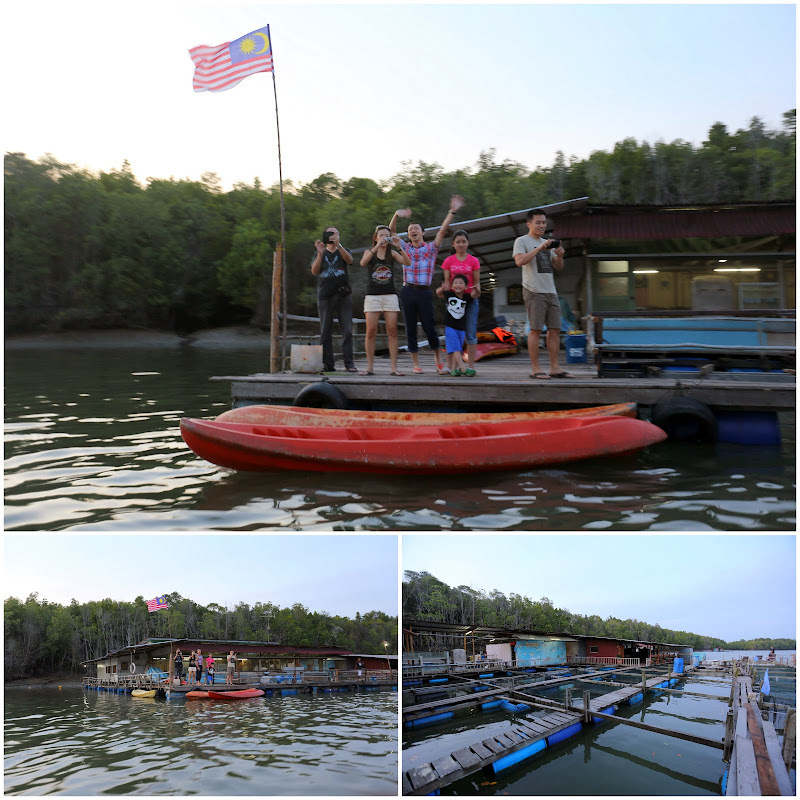 In the evening, we had dinner at an unusual venue – on a Kelong (an offshore fishing platform built in wood)! 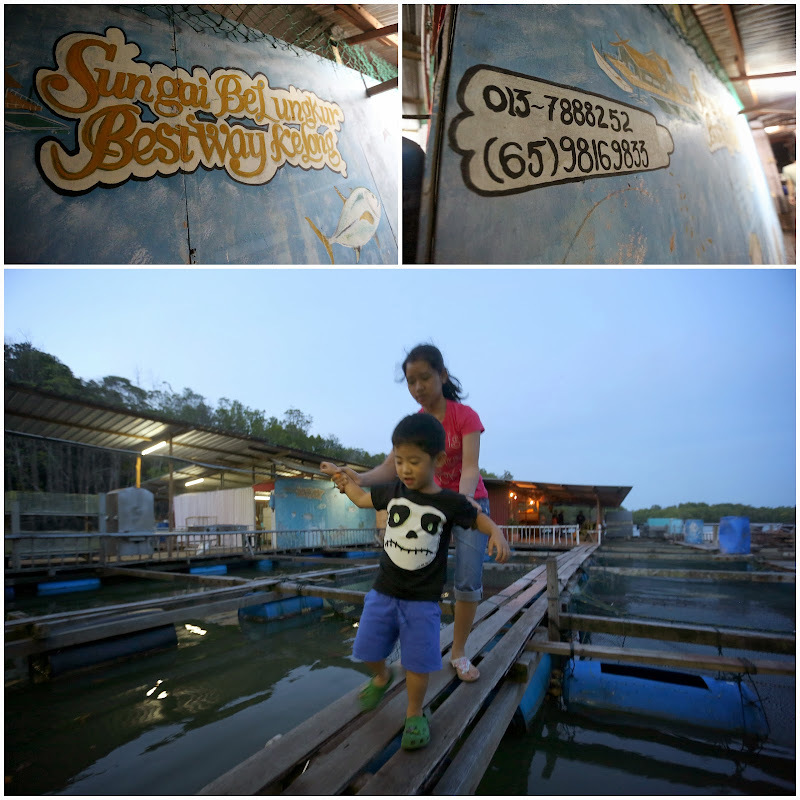 We took a 10-min boat ride across the swampy river to the Kelong. 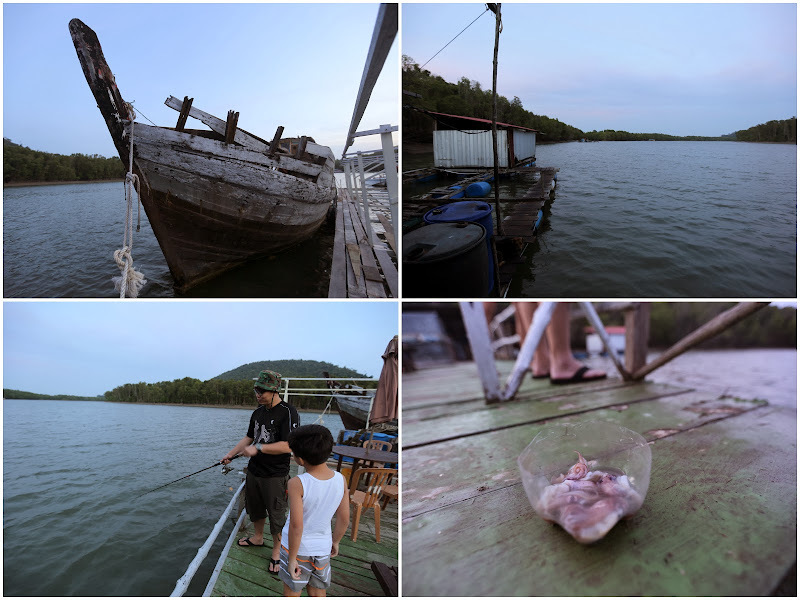 The Kelong is big and it offers air-conditioned accommodation (with attached bathroom) for only S$50/night. 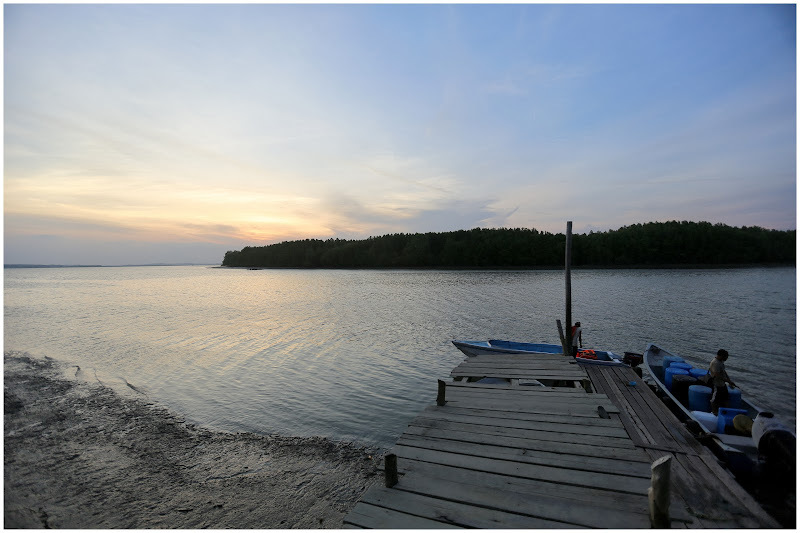 It also offers activities like fishing, kayaking and jet skiing. 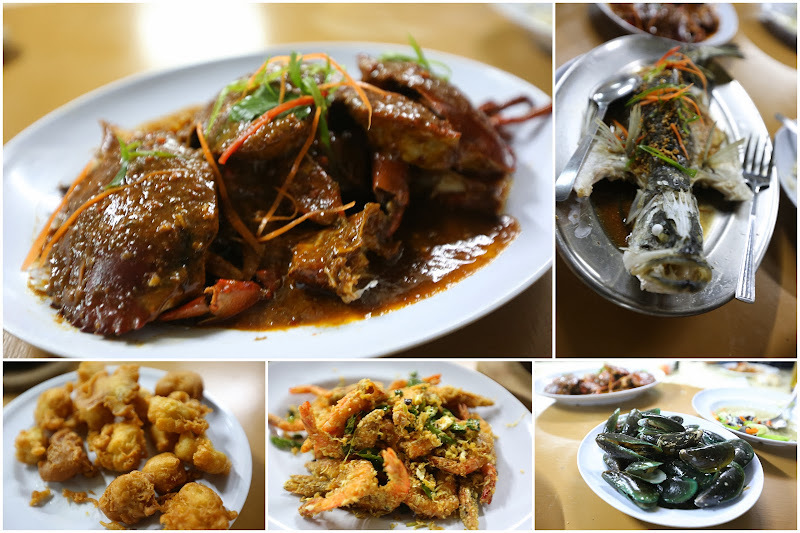 The seafood dinner is fantastic! The dishes came in big portions and were very tasty! 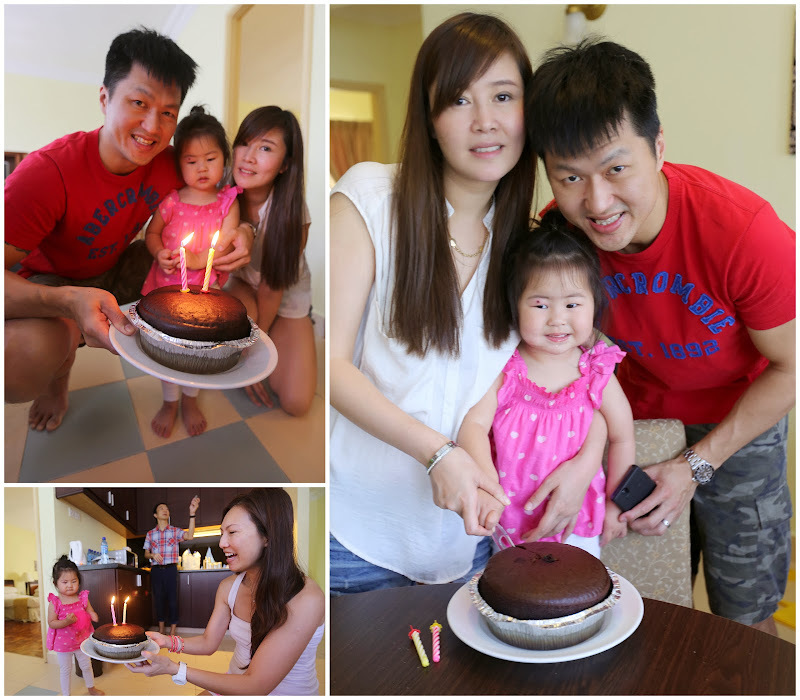 A big thanks to my wife, sister and Cousin Chester, we had one of the best CNY reunions ever! Let’s do it again next time and many more years to come! 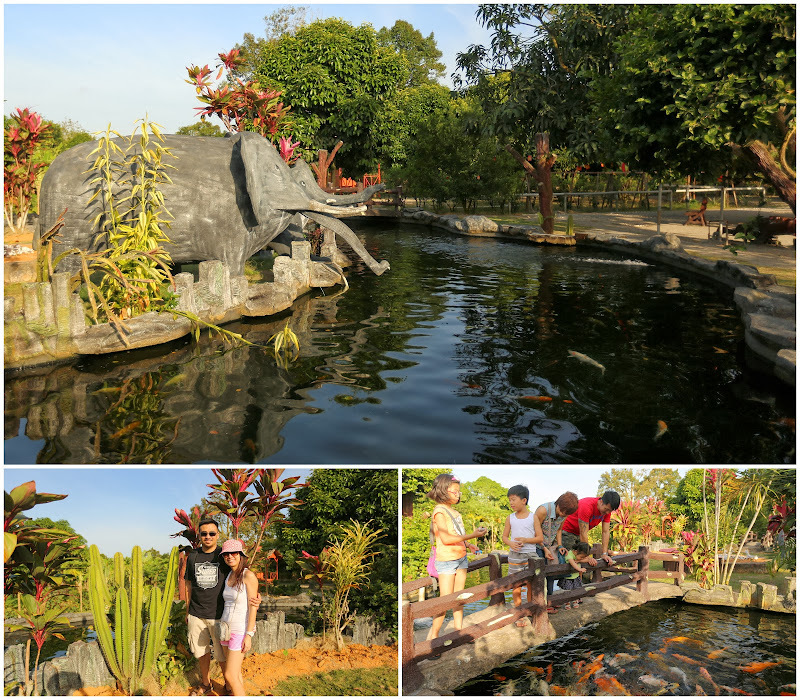 Hi, your blog was useful for me to plan my family vacation in Desaru, as we will go with two kids. 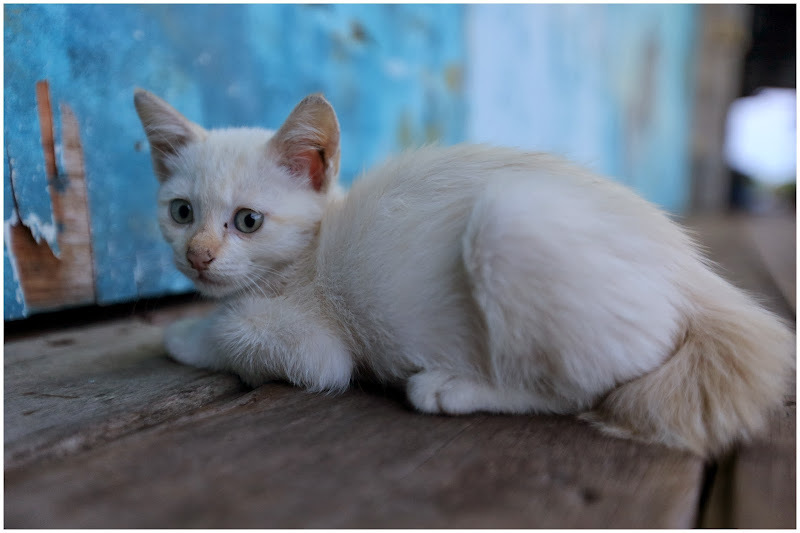 May I know how to book a van for travelling? I contacted some recommended drivers, but non of them reply me. Hi Ruby, thanks for writing. My recommendation is to book at the resort where you are staying. Safer and much more reliable. 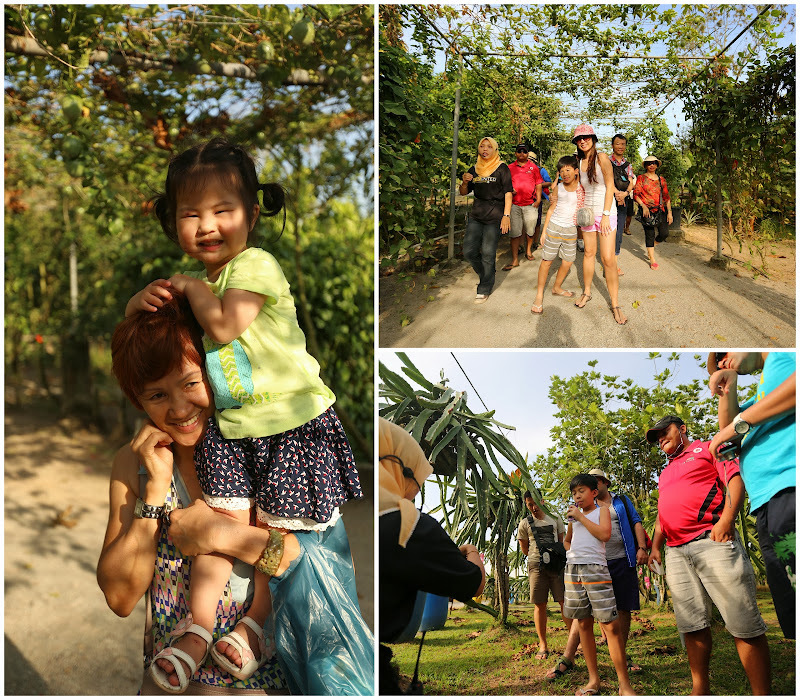 Many of the resorts offer local tour packages that you can pre-book a day before. 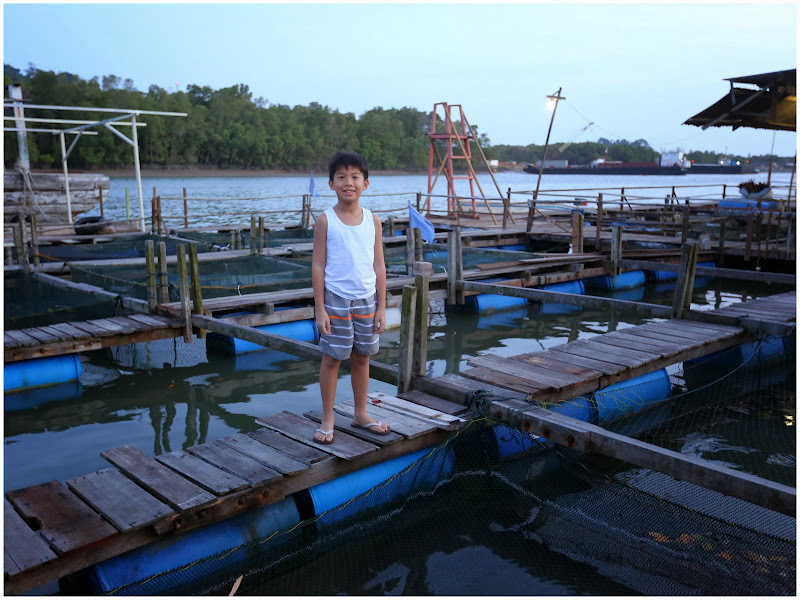 Hi, can I pls check how did you get to the Kelong? Did you have to prebook? 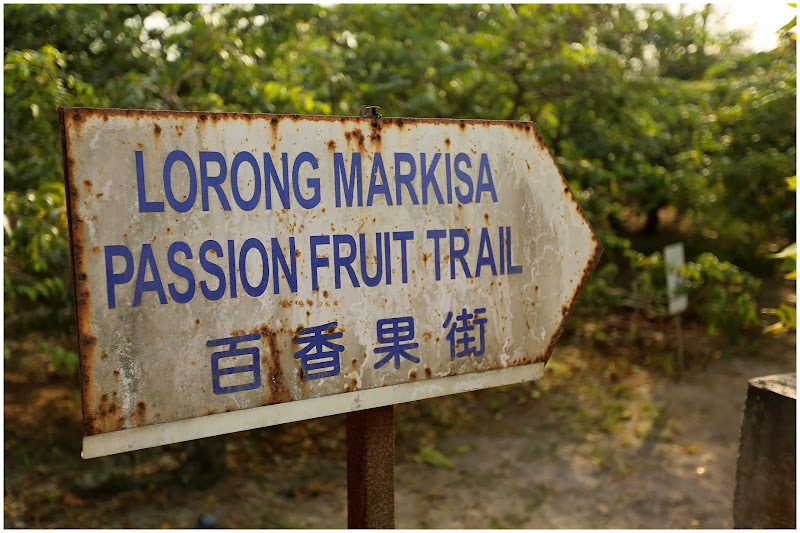 The kelong is call the “Bestway Kelong” (last checked Jan this year – Tel: +65 98169833 / 013-7888252). 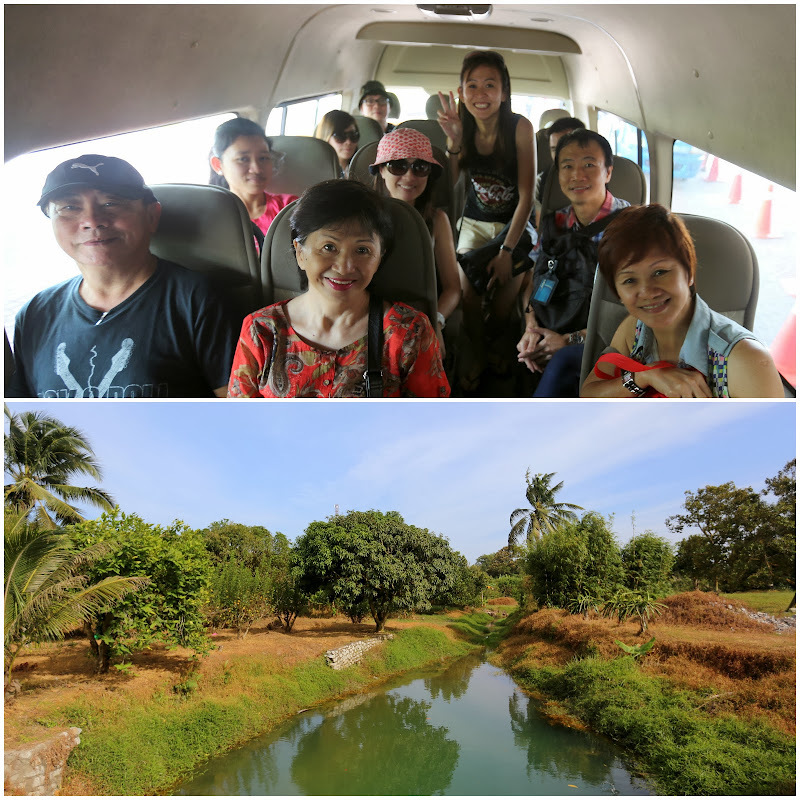 The Kelong owners (Singaporean-investor and Malaysian-owner) came to pick us up from the resort. 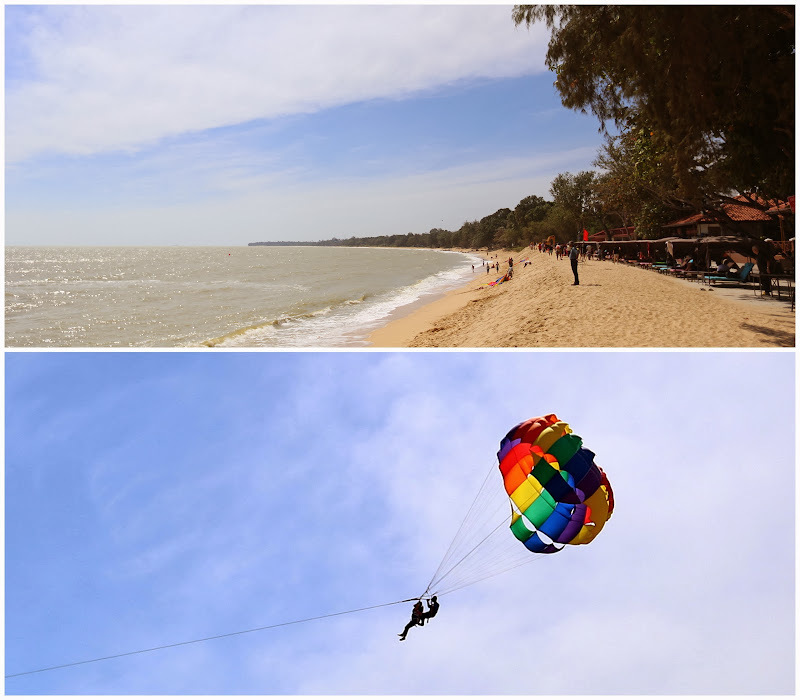 The drive is about 25 mins from Desaru resort. 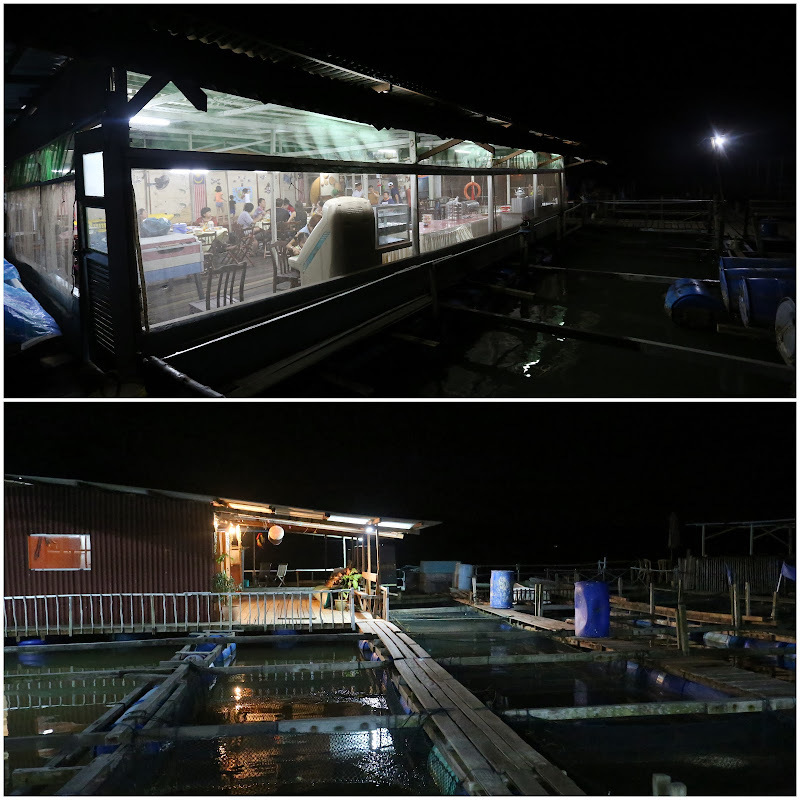 There are small rooms (with aircon) on the Kelong that you can sleepover. Do call them to get more photos and details before going.